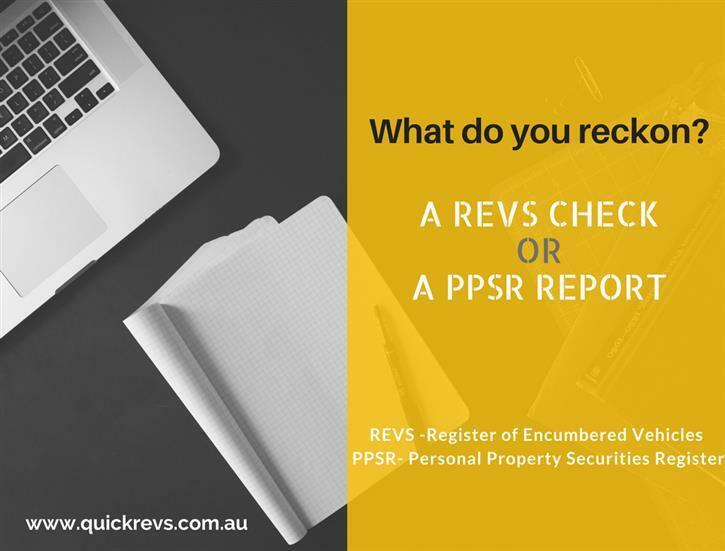 Does state Laws effects on Revs Check and PPSR Report in QLD OR NSW? Say you want to get a cheap REVS check in QLD, for a car that was first bought in Victoria. Or maybe you want to get a cheap REVS check in NSW for a car that originally came from South Australia. How do different state laws, or even just being in different states, affect the outcome of a REV check? To find out, we’ll look at how REV checks used to work, and at how modern PPSR reports compare. Full-history PPSR reports are a relatively recent invention. Prior to the Personal Properties Security Register being established, your only option for looking up a car’s history was a REV check. REVS checks used to be free, which was great. But they also had limitations. For starters, they only gave you limited information. Specifically, they could only tell you one thing: whether the car was registered with any financial encumbrances. You couldn’t see if the car had been stolen, written off, or even what the safety rating of the vehicle was. The second limitation is that they weren’t terribly far-reaching. They were only available from state government bodies such as the local Roads and Maritime Service. As these were run from state to state, getting a REV check in one state might not tell you details about the car from other states. Rev check nsw, wa, nz, qld, rta, vic free & cheap are available here. Basically, unless the details for the car had been intentionally brought from one state to the other, they’d be left in the state they were registered in. You’d need to perform a check with each state’s local RTA/RMS to find out if there was anything from elsewhere in the country. Luckily that’s all changed now thanks to PPSR Reports. The Personal Properties Security Register, or PPSR, is a national register of all personal property securities in the country. What this means for prospective buyers is that it doesn’t matter what state the vehicle came from, or where you’re buying it in. So long as the information was registered somewhere within the country, you’ll gain access to that information. This makes finding crucial information out much, much simpler. A car could’ve been sold new in Western Australia, spent a year in the Northern Territory, and wound up somewhere in SE Queensland for you to buy on the QLD/NSW border. Despite traveling halfway across the country, you’ll get information from every state and territory where something relevant was registered. Was the car in an accident in Darwin? You’ll find that out in a search from Byron Bay. Was the car stolen in Brisbane? You’ll get that in your report, too. Switching from state-specific to national registries has streamlined the entire process for prospective buyers of secondhand vehicles. One simple check gets the whole history, from the whole country, all at once. Getting your report from the PPSR is one of the easiest parts of getting a used vehicle. Once you have the VIN of the vehicle you’re interested in, simply enter it into our search bar on the right of the screen, pay the $6 report fee, and you’re done. You’ll be sent a comprehensive report on the history of the car you’re interested in. You’ll find out whether there are any financial encumbrances, any write-off history, any stolen history, the ANCAP safety rating, and even crucial registration numbers you can use to ensure the car has legitimate parts. Protect yourself against buying a dodgy or encumbered vehicle by ordering a PPSR report today.